So you have bought your brand new home and you don’t know where to start when it comes to filling it up with furniture. Knowing the basic layout rules can be a huge help, and get you a fun a polished look to every room. I’ve taken some of the basic rules of furniture arranging and parted them into 10 simple tips. These will absolutely help you figure out where to put things, where not to put things and how to assist you with the choices you will be making. First things first, before moving any actual furniture you need to have a plan in place. Test your design on paper to make sure everything is included and in order. 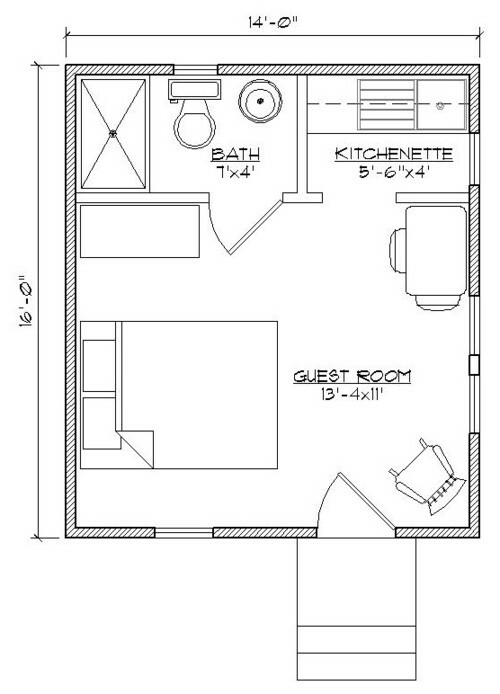 Measure the room’s dimensions, noting the location of windows, doors, heat registers and electrical outlets, then draw up a floor plan on graph paper using cutouts to represent the furnishings. Or, better yet, use a free online room planner, they have everything these days. Learn to draw the space and test various furniture configurations. It’s less work and a lot more fun. You need to think about how many people will be using this space and how the room will be used. That will ultimately lead you towards what type of furnishings you’ll need and the amount of seating required. 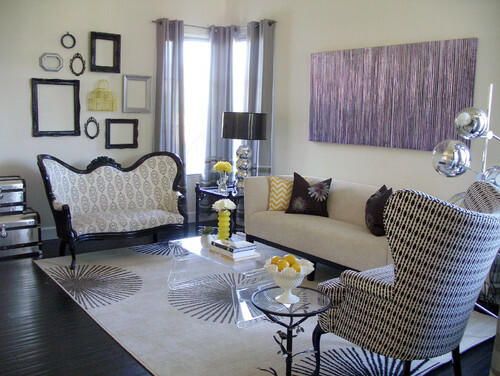 Knowing what your focal point is, is a very important aspect when furnishing a space. It can be anything from a fireplace, view, television etc. You would then organize the furniture accordingly. If you plan to use this room to watch TV the ideal distance between the set and the seating is three times the size of the screen (measured diagonally). Therefore, if you’ve got a 40-inch television, your chair should be 120 inches away. Place the largest pieces of furniture first, like the sofa in the living room or a bed in the bedroom. Usually these pieces should be facing the focal point in the room. Chairs should be no more than 8 feet apart to keep it close in proximity for conversation. Unless your room is a little smaller, try to avoid pushing all the furniture against the walls. About a 6″ gap between the walls and furniture will give the illusion that the space is larger due to the shadow it creates. We all have learned about symmetry at one point in our lives. This is a very useful tip when it comes to styling your home. Symmetrical arrangements work best for formal rooms, this is when you can split a room in half and each side is exactly the same. 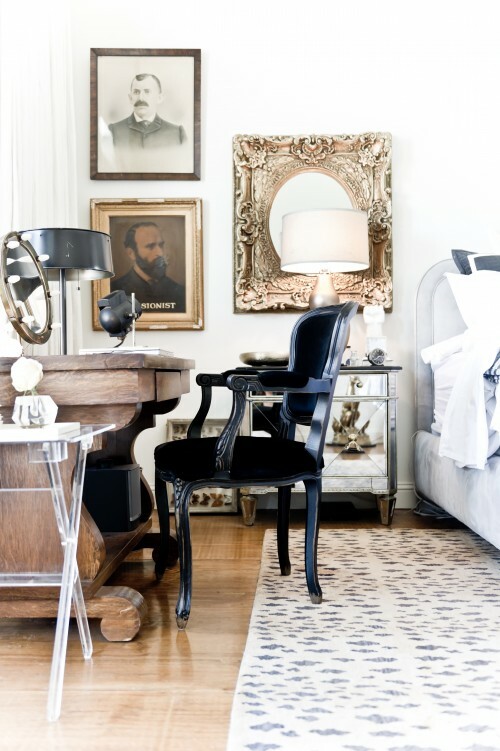 Asymmetrical arrangements make a room feel more casual. Keep in mind that the pieces you do use fill the same amount of visual weight. If this is off your room will look off as well. 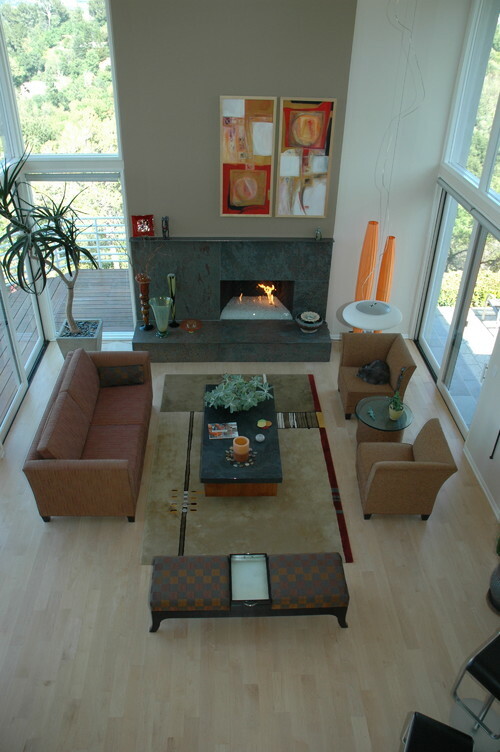 Modern Living Room by Mill Valley Design-Build FirmsKCS, Inc. This is when Function ties into the space as well. You need to think about the traffic flow through the room, the pathways into the room. Don’t block that path with any large pieces of furniture if you can avoid it. Allow 30 to 48 inches of width for major traffic areas and a minimum of 24 inches of width for minor ones. A maximum seating area is 12 ‘ x 12’. So be sure to consider anything bigger you would need to split up and create a different seating area. You want to vary in the size furniture pieces you use throughout the room. Doing this allows your eyes move up and down as you scan the space. Balance a larger or taller item by placing another piece of similar height across the room from it (or use art to replicate the scale or visual weight). Try to avoid putting two of the similar size objects next to each other. This can look bland and un lively. This is all about mixing different shapes of furniture. Combining straight and curved lines to help create contrast. If the furniture is modern and more linear, throw in a round table for contrast. 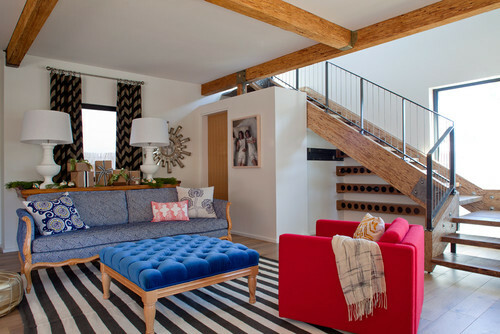 If the furniture is curvy, mix in an angular or straight edged piece. Also consider pairing solids with voids. For example combine a leggy chair with a solid side table, or a solid chair with a leggy table. When placing your furniture in a room you should definitely keep in mind the proximities. By Placing a table within easy reach of every seat, being sure to combine pieces of similar scale, and make sure every reading chair has an accompanying lamp. Coffee tables should be located 14 to 18 inches from a sofa to provide sufficient legroom. This also takes your guests comfort into consideration, imagine having a glass of wine and not having a place in easy reach to place it down for a minute. 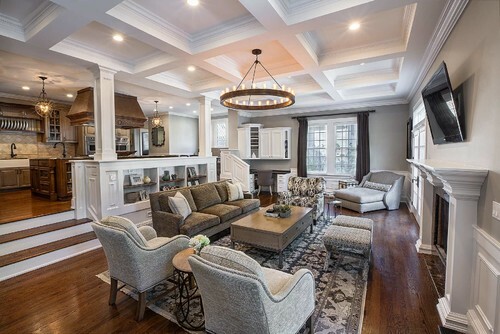 So far I have only been discussing seating areas in living rooms and family rooms, bedrooms. 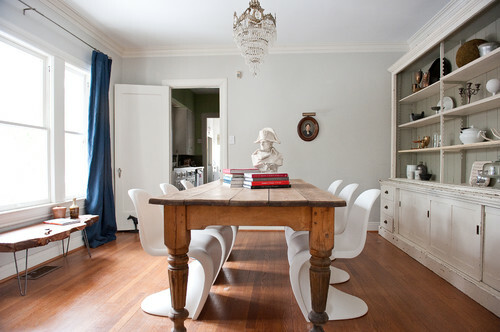 However a dining room is just as important In a home. Make sure there’s at least 48 inches between each edge of the table and the nearest wall or piece of furniture. If traffic doesn’t pass behind the chairs on one side of the table, 36 inches should be enough. In bedrooms allow at least 24 inches between the side of the bed and a wall, and at least 36 inches between the bed and a swinging door. With all of these Tips I am sure that filling up your home will be a lot less stressful and a lot more fun. This wont make you a designer over night but it will most defiantly help you and make decorating more fun rather than work!